This week, Steam bans over 90,000 users, Valve revises its Dota 2 loot box system for Dutch players, and Nintendo sues major ROM sites over “mass” copyright infringement. Valve’s Anti-Cheat system (VAC) saw a massive spike in activity this past week, banning nearly 100,000 players from Steam. According to Steam database tracker SteamDB, approximately 30,000 of these bans happened over the course of a day alone, far exceeding VAC’s average daily ban rate. No concrete causes of these bans have come to light, with outlets like Comicbook.com, PCGamesN, and GamesIndustry.biz speculating that VAC is now aware of a previously unknown method of cheating in popular games. After a ruling by the Netherlands’ Gaming Authority in which loot boxes were deemed to violate their Betting and Gaming Act, Valve has made the contents of Dota 2 loot boxes visible to Dutch players prior to purchase. 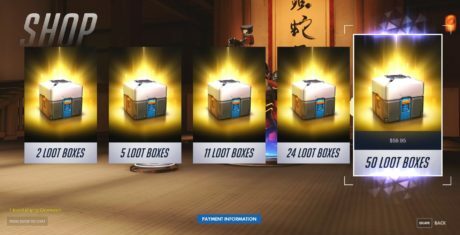 Said ruling was reached due to the addictive nature of loot box opening, with players tantalized by the prospect of better in-game items and visually-stimulating opening animations. Now Dutch players can only buy one loot box at a time with known contents, and the opening animation has been removed. With similar, recent legislation announced in Belgium, outlets like Gamasutra, USGamer, and Kotaku speculate that a similar system may soon be implemented there as well. Nintendo filed a lawsuit against two major ROM distribution sites: LoveROMs and LoveRetro. In its filing, Nintendo acknowledges that many ROM sites are simply hobby projects. Their legal gripe with LoveROMs and LoveRetro is that they seem to be professional projects that profit from Nintendo’s past work. As reported by TorrentFreak, the filing states “Defendants are not casual gamers but are instead sophisticated parties with extensive knowledge of Nintendo’s intellectual property and the video game industry more generally.” Nintendo is looking to be compensated for damages at a rate of $150,000 per copyright work, and up to $2,000,000 for each Nintendo trademark infringement, according to Ars Technica. Comicbook.com reports that all Nintendo titles have been removed from LoveROMs and that the LoveRetro site has been completely taken down. This has sparked some fan outrage, as many of these titles are not available through legitimate means of purchase. Fans took to Reddit and Twitter to state that many of these ROM sites act as historical archives and should be preserved.